A professor at the City University of New York locked her Twitter account after controversial comments blaming “white nuclear families” for racism and white supremacy. “Part of what I’ve learned is that the white-nuclear family is one of the most powerful forces supporting white supremacy,” wrote Hunter College professor Jessie Daniels, in one of her controversial tweets. The tweets were screenshotted and obtained by the Daily Mail and other online media before they were made inaccessible. “I mean, if you’re a white person who says they’re engaged in dismantling white supremacy, but + you’re forming a white family + reproducing white children that ‘you want the best for’—how is that helping + not part of the problem?” wrote Daniels in over the course of two other tweets. Hunter College is the largest of the 11 colleges in the City University of New York system. 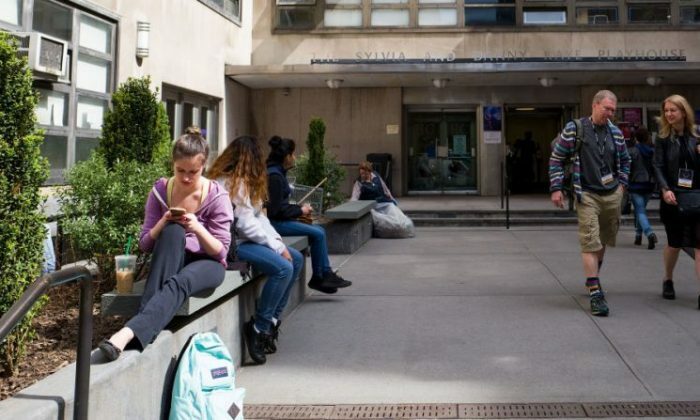 The enrollment is dominantly local, with 80 percent of students from New York City and 14 percent from other parts of New York. The largest percentage of student are white, at just over 34 percent of the student body, according to Forbes. Professor Daniels went on to also criticize multiracial families for engaging in white supremacy. “If you’re white + forming a family w/ multiracial children +not dealing w/ your own racism or systematic white supremacy, how’s that helping?” she wrote in a tweet following the others. But Daniels issues extend deeper. She goes on to criticize the family as a concept in general. She brings up an old “marxist-feminist critique” of the family to add support to her views. She refers to the idea of family as “an inherently conservative force in society.” Daniels relates the idea of family to white supremacy. The university responded with a statement condemning the professor’s remarks. Ciccariello-Maher has continued to send out similar tweets, and is currently advertising an appearance he is holding to discuss his views at events sponsored by socialist organizations, according to his Twitter account. When Drexel was asked about the professor’s unceasing hateful tweets, the school replied, “The recent social media comments by George Ciccariello-Maher, associate professor of Politics and Global Studies at Drexel University, are his own opinion and do not represent the University’s views,” in a statement from the university, obtained by Fox News.